Spokesman for the Fidesz parliamentary delegation János Halász told state-run Kossuth Rádió on Sunday that his party would request that a recently passed European Parliament decision be placed on the agenda of the Hungarian National Assembly. According to Halász, the EP had accepted “the most dangerous migrant” resolution yet, which includes limitless quota requirements for EU member states to resettle asylum-seekers. The EP resolution has been widely touted by the Fidesz government as a final decision on the issue of distributing asylum-seekers across the 28 EU member states, an issue over which Hungary has waged a pitched battle with European institutions for more than two years. However, the November 16 resolution essentially authorizes the European Council to begin talks on reforming the Dublin regulation, the EU law that dictates which member states are responsible for processing the applications of asylum-seekers seeking international protection. 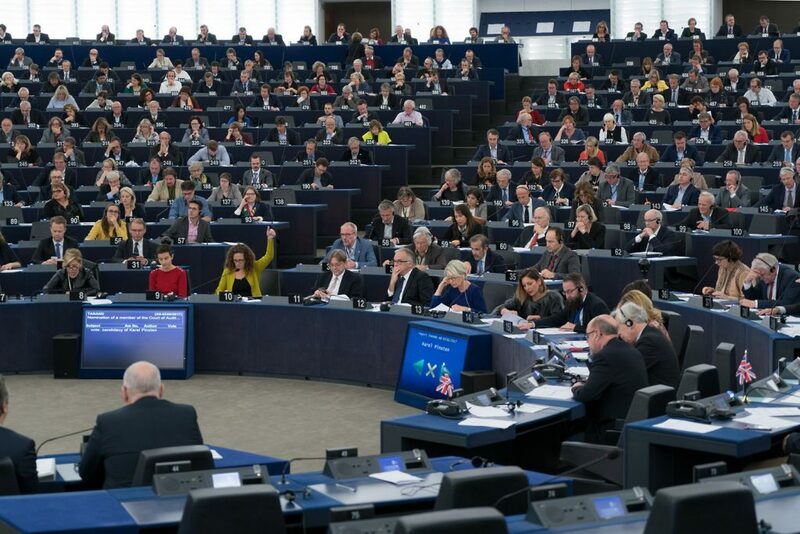 Leading Fidesz politicians and government-tied media have portrayed the EP resolution as one that is legally binding and would open the floodgates for the uncontrolled admittance of asylum-seekers, when in fact the resolution will merely initiate talks in the European Council, with the participation of all member states, for amending provisions of the Dublin regulation. The resolution stipulates that all 28 states participate in a burden-sharing scheme and that strong border security and a comprehensive system of registering asylum-seekers be included in a revamped Dublin system. The proposal requires that asylum-seekers remain within the country where their applications are being processed and do not attempt to move between member states on their own. It also makes proposals for ensuring a quicker procedure for granting international protection to asylum-seekers. Propaganda minister Antal Rogán indicated on government-tied Echo TV that a week before the EP passed the resolution, Hungarian-American billionaire George Soros had a meeting with the resolution’s author, Swedish MEP Cecilia Wikström, thereby allegedly proving that Soros was directly influencing decision-making processes in Brussels as a means of advancing the “Soros Plan”. However, the same Wikström-authored resolution was first passed by the European Parliament Committee on Civil Liberties, Justice and Home Affairs on October 19, long before said meeting took place.